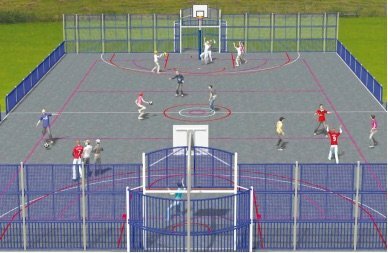 Work to construct the new Multi Use Games Area (MUGA) at Jubilee Park will start on Monday 11 September 2017. If everything goes to schedule and there isn’t too much torrential rain then the construction should be complete around 12 October 2017. The MUGA can then be used, but at this stage there will be no lines as a 2-3 week period is needed for the surface to “set” before line marking can take place. On the current schedule the MUGA will be closed for a day during the week of Monday 30 October for line marking to take place and after that it will be fully operational. The works will inevitably bring some disruption and noise for local residents. The Town Council apologises for any inconvenience this may cause. The MUGA is the first part of the Town Council’s proposals to improve the facilities at Jubilee Park. The proposals, which are part of Bruton’s new Town Plan 2017, also include a new skate park (the “Bru Bowl”), upgrades to the lower pitch and the play area, and rebuilding of the pavilion. Plans for these further developments are at an outline stage, and will go ahead once funding has been secured.